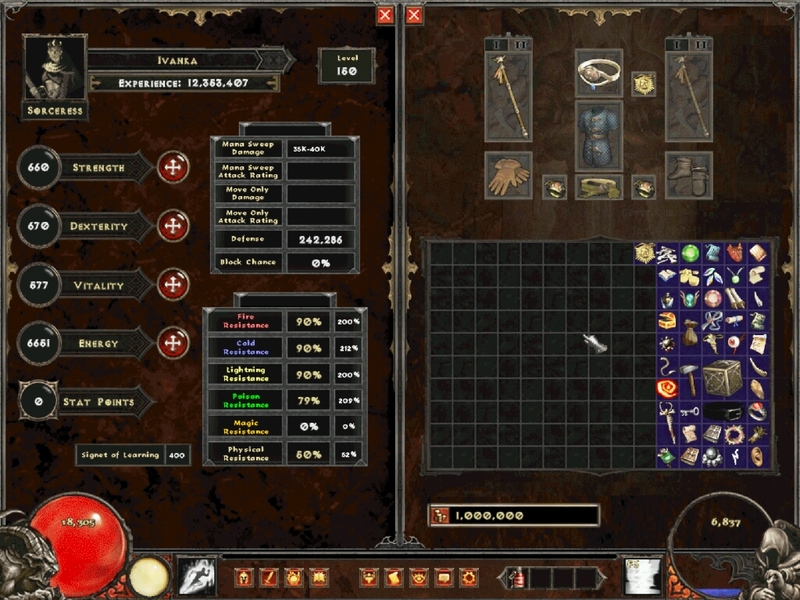 Mana sorc is a great fast farmer, she has potential to melt screens of trash in a split second in P8 games and have the potential do so while having a lot of mf. This build tutorial will show you different gearing options, skills variations and also cover some basics about gearing in the early stage of the game. It's important to note however that even with no budget contraints, the top end version this build is hard to achieve because of the scarcity of the mentionned items, it might not be for you if you dont have alot of time to dedicate to it or if you dont like trading. Mercenaries' resist screen is bugged. It will always show 75% all resist no matter what they have in reality. Best way to find out their true resist is manual counting. Mercs by default have 100% all resist, so normal resist is capped. On Hell, you need 75% all resist from their gear to cap the resists. Hard to collect all the items. 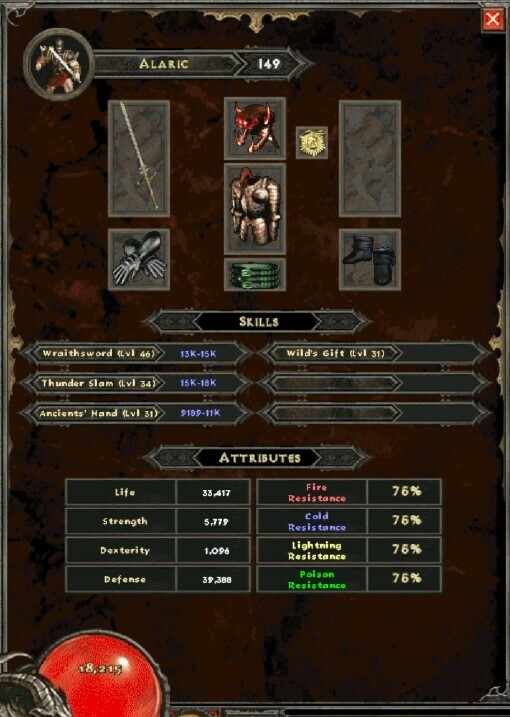 Mo's : Weapon : Life after kill, rings/ammy with mana regen/phys dmg reduce, armors with resistance and extra -%requirements in order to have less stats wasted into strength and dexterity. *One point in chronofield isnt sufficient for certain uber bosses. Icy Cellar/Drifter Cavern for safe 105lvl, baalruns are ok, but much harder/takes more time. Nihruns are OK, too, because you get 2 signets every time. [*]Butcher - easy charm, easy stats. Use lures, go a bit side from fire and just bombard him with immersion. [*]Death Projector - You just run in circle, sometimes casting immersion on projector. Very easy, just takes some time , as your dmg output is low. [*]Infernal Machine - this one may be hard, depends on spawned monsters. Good charm, but due to low dmg output you may have problems. Try not to stay near doors but move forward - arcane torrent the trash first. If you can't kill them in 2-3 tries, just leave it for later (with lvl110 charms you will feel much better). [*]lvl 110 ubers - all are very, very easy, because you have blade spirit lures. Only problem - low DPS, so Akarat may be a problem (buffing with bloodlust, good merc helps). [*]Buyard Cholik, Rathma Square, Khalimgrad - not even worth mentioning, easy. [*]TA - Arcane Torrent does wonder. Go in, Force Blast when you see 1st enemy (more will run into and all will get debuff), torrent, antimass, mana sweep, repeat. Farmable even at low lvl until perfect charm + trophy. [*]BPR - at low level it takes time and (probably) some deaths if done at intented level, later farmable in few seconds. [*]Legacy Of Blood - tricky. Be sure that you have good fire res or even max. Go in, force blast, arcane, run side, arcane, antimass, mana sweep, run. Never stop in one place longer than 2 seconds, always move from one side to another. You can also hit him with immersion, which does much more damage for him, but you may be killed with blood golems if you can't kill him fast, as they spawn everywhere. Even on low level it's fast fight (merc will die quickly, sorry), later it's just few seconds farm for trophy. [*]Cathedral of Vanity - run in, force blast, stand here until it stops shooting. Then run to bottom laser position and immersion. Inarius after is easy, just do not go melee range, use blade spirit lures. Easy and good farm - trophy gives good bonus for you and on route here you can find perfect ear which provides stats/exp boost. [*]Azmodan - easy but slow. Never stop in this map, always move. Try your best to avoid flamestrikes and hit him with immersion and you're golden. [*]Judgment Day, Athulua - easy, Get JD upgraded ASAP, stats boost is nice. [*]Duncraig, Triune - easy, Just always be on the move and keep an eye open for barrels or meteors, dunc is one of the best if not The best farming spot. [*]Quov Tsin - Very hard fight, need high resists, ended up doing later, do no bring summons because when they die he heals. easy choice, mf, skills, mass stats, phys resist.. just an amazing piece of gear. in your honorifics/Natalya, since they dont have lvl req, they wont mess with your umo spaces and will provide you with max or near max Phys resist. , but it's not needed for pure mfing, in weapon you can put life after each kill and faster cast rate, even tho you don't need fcr in weapon if your build is optimal. *One point in chronofield isnt sufficient for bosses, i hear it needs to be maxed. You will use anti-mass very often, it drains your mana and fills your HP, and with valtheks the cooldown is 2 secs. Get an a5 merc. They're amazing. , gives some buffs but this build doesnt really benefit much from them. : Area dmg, avoid, ele dmg, amazing results. 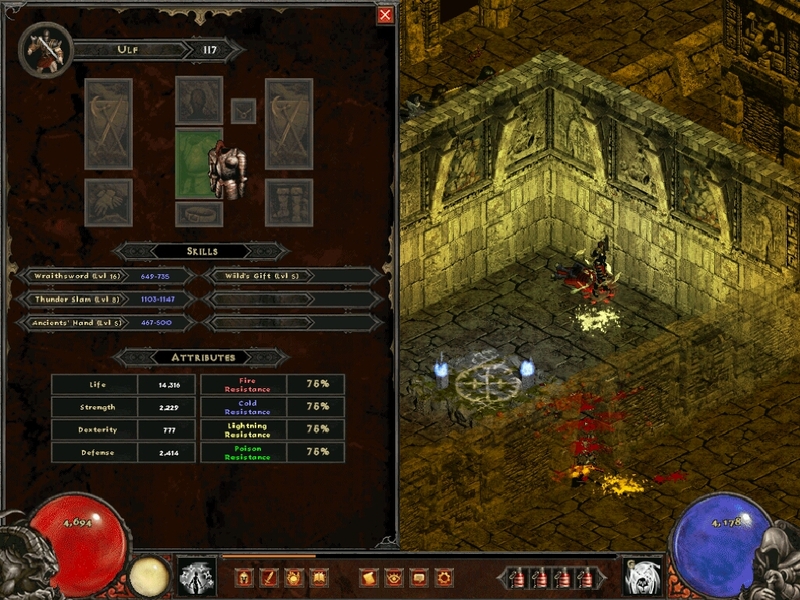 : Your merc is meant to survive/kill and provide you with demonblood Aura. both are viable options, the latter will provides you endless procs of force blast. Edited by Almighty1337 2 weeks. A lot of people been asking for this, and the good thing is most of em are like 100+ already and went ele or something.. Nice to have a guide to tell em about now . good to know thanks buddy ! All guides should have early/mid (gear) section and a brief explanations of those parts of the game. Even in the unlikely event that a build is only good in late game and a different spec is necessary for for early/mid, that information is still helpful, especially to inexperienced players. This could be replaced with a 30 second video that does nothing but hover the skill tree and each gear slot and it would convey the same info. It does mention above that the purpose here is solely end-game farming so this would be more appropriate in the showcase thread. That way there isn't any confusion about what it really is. I was under the impression that with Sigma would come more scrutiny for guide approval, to help set a higher standard than in previous versions of MXL. Guess there is always next patch. Fumbles wrote: All guides should have early/mid (gear) section and a brief explanations of those parts of the game. Even in the unlikely event that a build is only good in late game and a different spec is necessary for for early/mid, that information is still helpful, especially to inexperienced players. This could be replaced with a 30 second video that does nothing but hover the skill tree and each gear slot and it would convey the same info. It does mention above that the purpose here is solely end-game farming so this would be more appropriate in the showcase thread. That way there isn't any confusion about what it really is. Any vids available? I would love to see this in action. Primarch wrote: Any vids available? I would love to see this in action.